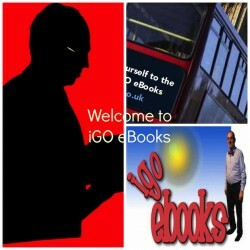 Welcome to iGO eBooks - Welcome to iGO eBooks! Welcome to iGO eBooks by Gordon Owen. Our Fundraising Training & Voluntary Sector Governance & organisational Material Series of publications are available in .pdf, eBook, iBooks, .rtf, Sony .lrf, Palm Doc .pdb, Amazon/Kindle .mobi, and Hardcopy. Other supporting material in PowerPoint Presentations are also available on request for interactive training please e-mail us for more information. The fundraising training material series provides a guide and reference to techniques, things to consider, and contacts with url links for new, small, and emerging groups/organisations in the charity sector seeking to improve their engagement with potential funders in the statutory,corporate, and charitable trusts/foundations sectors. An additional separate VS governance & organisational material series also exists to support organisations, (particularly, new, small, and emerging groups), with their polices, procedures to develop 'best practice’ in striving to deliver effective services. Please also view one of our webpages to see the range in the series by clicking here for fundraising and here for governance and organisational material. Looking forward to serving and supporting you good reading! !